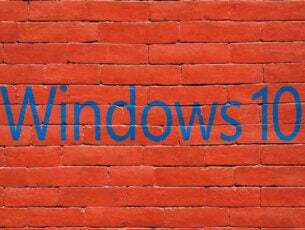 Windows operating system comes with a myriad of esoteric tools and commands but only a few are ever used. 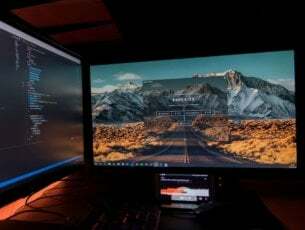 Some of these commands are a real gem and once you become acquainted with them, you will have more ammunition to fire against those annoying ‘system failure’ messages that pop up whenever there is a fault in the hardware or software. Today we are going to touch on one such tool that could be the key to solving all your PC problems. 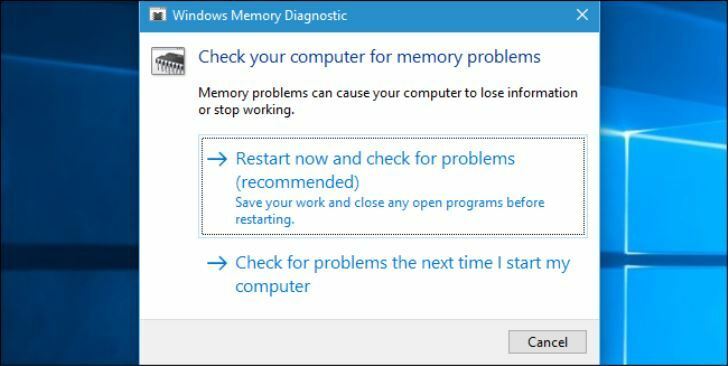 If your PC is beset with more issues than you can handle, then you should probably try out the Memory Diagnostic Tool. 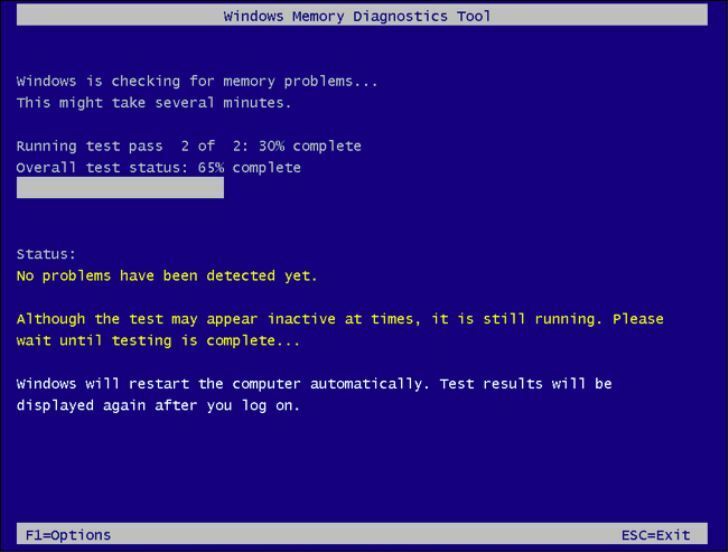 Also known as mdsched.exe, the Memory Diagnostic tool does a thorough test of your memory including RAM checking it for all the errors that might stifle proper functioning. You know the feeling: your computer constantly hangs, randomly freezes, reboots without warnings, barfs up blue screens of death and the list is endless. All these problems could be symptoms of hardware problems, but how can you tell? The Memory Diagnostic Tools runs comprehensive test and displays the test results so you can take immediate action. If Windows detects a possible problem, you will receive a notification and you can click on it to open. 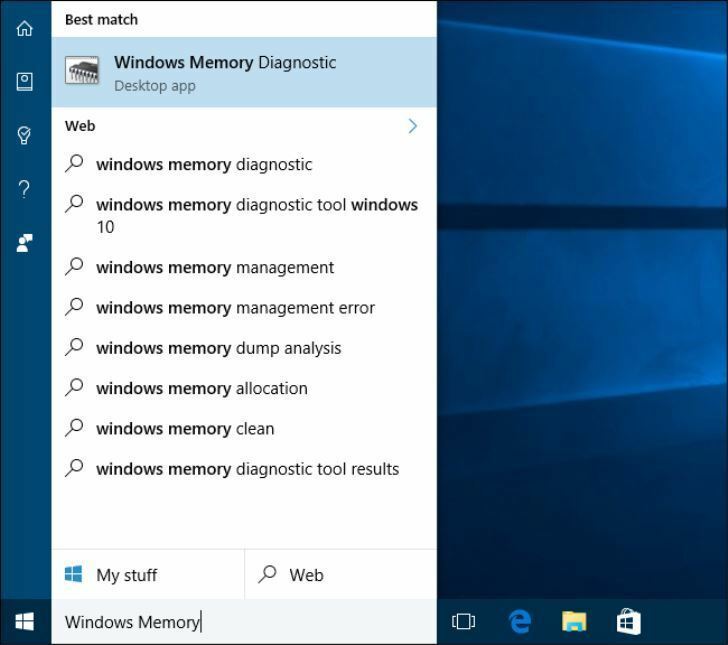 To run the Windows Memory Diagnostic Tool, follow the steps below. Open the control panel and type ‘memory’ on the search bar. Then click on ‘Windows Memory Diagnostics’ to open it. Alternatively, you can press the Windows key + R, then type mdsched.exe and hit enter to open it. Now you have to choose between two options: ‘Restart now and check the problems’ or ‘Check for problems the next time I restart my computer. 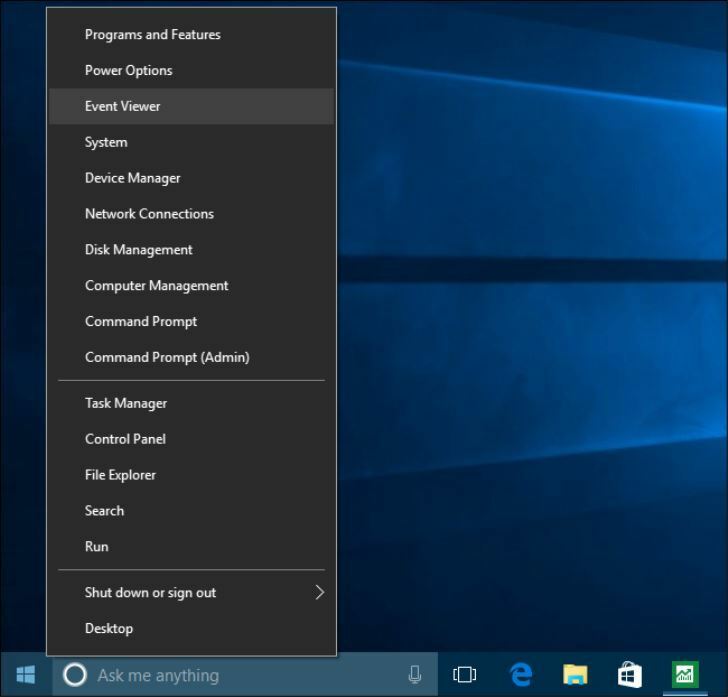 If you choose to restart and check the problems, make sure to save all your work and close all the running programs on your Windows 10 computer. 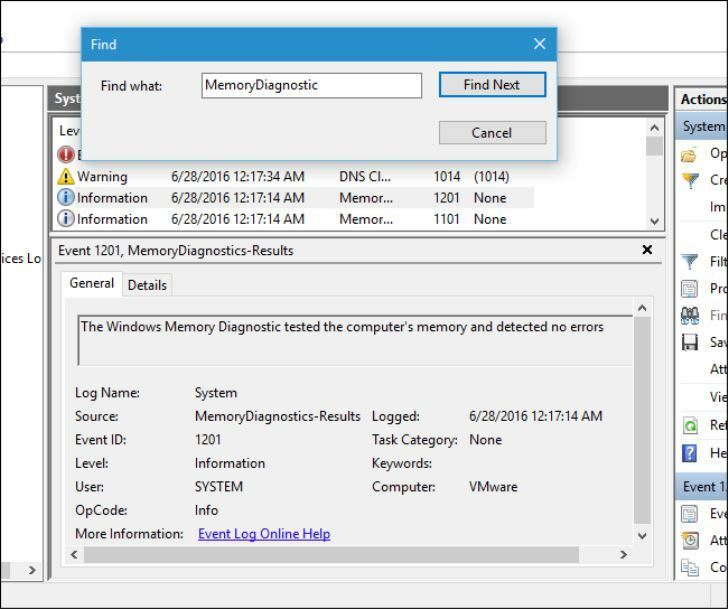 When you restart the Windows, the Memory Diagnostics Tool automatically starts running tests on your PC’s memory. Be patience as it might take some time to finish running the diagnostic tests. The system will also display the progress bar and the status notification during the process. Once finished, your computer will reboot and return to the windows desktop. It should also display the test results. At this point, it is important to note that not all the times the system will display the test results. I will now teach you how to retrieve the results by yourself in the event your computer fails to display them. 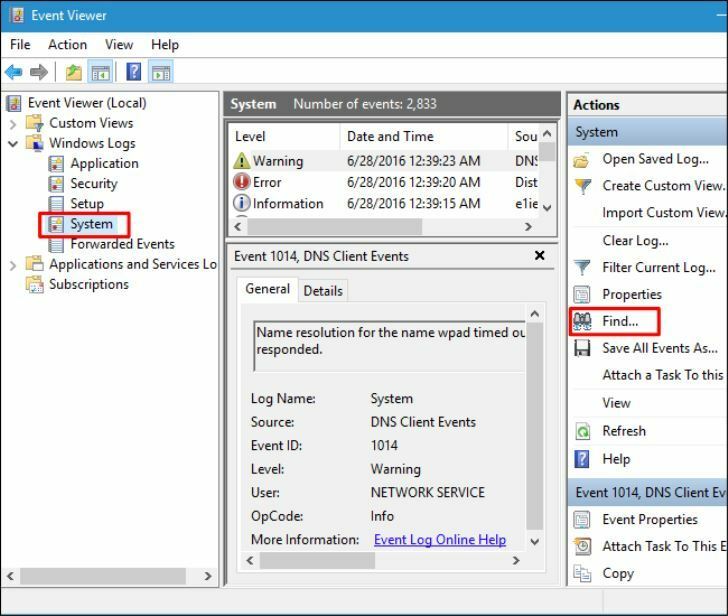 First, right click the start button and select ‘Event Viewer’ or type ‘eventvwr.msc’ into the run dialog box and press enter if you are using Windows 7. Locate the ‘Windows Logs’ on the right side and open it. You will see an endless list of events. Click ‘Find’ on the right pane. On the box that pops up, type ‘MemoryDiagnostic’, then click ‘Find Next’. The test results will open at the bottom of that same Window. Now that you know what mdsched.exe is, and how useful the tool can be, why don’t you try to run it on your Windows 10 PC? Feel free to comment and share.